Good health is the cornerstone of a happy life. When our bodies and minds are well cared for we feel better about ourselves, have less worries, and enjoy more energy to pursue our dreams and overcome obstacles. 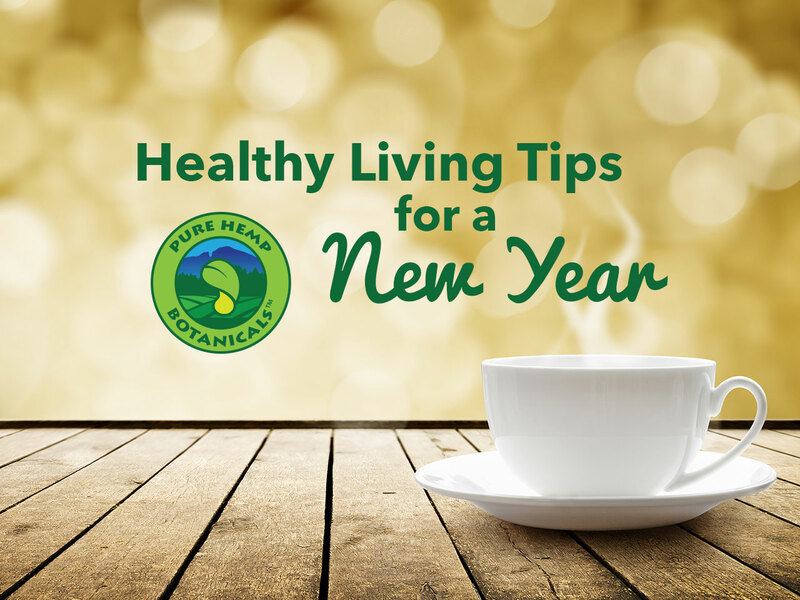 The first few weeks of the new year are a great time to establish new healthy habits and routines since most of us are focused on making changes to our lifestyles. Staying hydrated is vital for overall health because the water in our bodies plays a crucial role in carrying oxygen and nutrients to our cells. Our bodies also need water to protect the tissues and organs, regulate temperature, help the kidneys and liver flush out waste, and moisten tissues like the eyes, mouth and nose. For some fantastic guidelines on how to get the most of your hydration routine, check out Health Ambition’s helpful article here! Toting around a reusable water bottle to fill with liquid throughout the day is one of the easiest ways to help you reach that goal. If you aren’t a big fan of unflavored liquid, don’t worry! Tea, coffee, and even soda all contribute to your hydration level. Just be careful not to consume large amounts of high calorie, high sugar drinks, and remember that water is your best option. Most of us lead busy lives. As we rush between activities and then finally crash at home, we tend to gravitate toward foods that are easy to take with us or quick to make. One of the main reasons many of us settle for junk food, instead of a healthy snack or meal, is because it is typically ready to eat and within reach. If you want to incorporate more fruits and vegetables into your diet or get away from consistently eating takeout or fast food, prep healthy snacks and meals after grocery shopping. When you get home from the store, wash all of your fruits and vegetables before putting them away. Cut up vegetables like bell peppers and cucumbers that you intend to eat as snacks and put them in containers or baggies that are easy to grab and go. Prep a few meals beforehand so that you can quickly make them later in the week. Consistently getting 7 to 9 hours of sleep a night can be a challenge. Many of us like to believe that we can get by with less sleep. The benefits of getting a long, good night’s sleep outweigh the advantages of getting in a few more hours of work or play. According to WebMD, when we get enough sleep we have better immunity, improved memory, less risk of developing heart disease, heart attacks, diabetes, or obesity, and more. Whether you are used to consistently working off of 5 to 6 hours of sleep or you have an erratic sleep pattern, set some sleep goals for yourself or establish a new bedtime. If you have problems falling asleep, try out sleep aids like melatonin or drink a soothing beverage like Hemptealicious before lying down. Scientific studies have discovered that there are far more benefits to exercising than simply weight loss. US News writers Deborah Kotz and Angela Haupt rounded up a collection of research and learned that exercise is one of the best things you can do for your brain and mood. Exercise boosts our self-esteem, elevates our mood, and decreases stress levels. Exercise routines that require more attention and coordination, such as dancing or tennis, enhance our ability to concentrate and learn – even off the dance floor or tennis court. If you aren’t interested in taking an exercise class or joining an activity group, invest in an activity tracker or a new pair of sneakers. Buying a new pair of sneakers can be a great way to motivate yourself to get back to your old routine if you enjoy running but have gotten out of the habit. An activity tracker is a great investment if you aren’t a runner but want to get in more exercise on a daily basis through walking more. Along with counting your steps, most activity trackers let you set daily activity goals and monitor your progress. Many also provide you with encouragement that makes achieving your goals more rewarding. Most of us want to be less stressed. Waking up and falling asleep in a relaxing space that is dark, quiet, and uncluttered can help you accomplish exactly that. You don’t have to completely redo your bedroom to turn it into a stress-free zone. Making a habit of keeping your room tidy, investing in blackout curtains, and taking the TV out of the bedroom are all small ways that you can transform your bedroom into a space that is easier to fall asleep in and refreshing to wake up to.